Weeks ago, a coworker asked if I could work on a special project for her. She told me about the terrifying breast cancer diagnosis a very dear friend of hers had received. Chemotherapy would have to wait, though, until after her friend could get to 40 weeks in her pregnancy and safely delivery her baby. Although stories such as these always get to me, what K told me next really warmed my heart: in September, she will go visit her friend and let her shave off her hair so they could both be bald together. And that’s where she asked if I could help – would I make some hats for them? I agreed! I knew that whatever style K and her friend ended up picking, I would have to make sure to complete it in such a way to represent the love that K has for her friend. So after browsing online for ideas and patterns (Pinterest, LionBrand, RedHeart, all the usual suspects) and a trip to our local Joann’s store, I had what I needed. 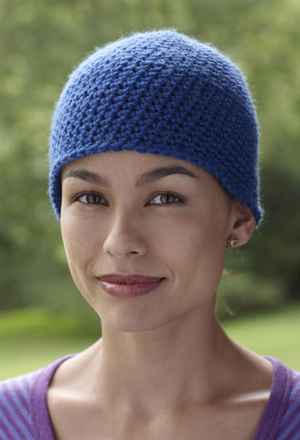 One of the patterns I liked best was the Lion Brand Yarns’ Comforting Blue Cap pattern. 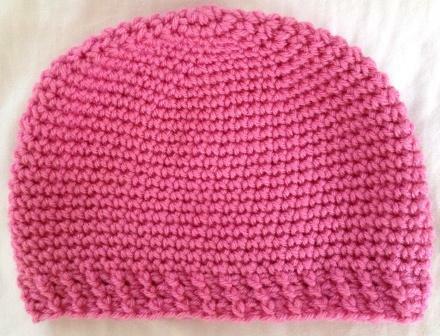 I used Vanna’s Choice Baby in Pink Poodle and a size I crochet hook. The pattern itself is a very simple pattern: single stitches worked in a spiral with increases in each of the first 10 rounds. Once all the increases are in place, each row just repeats until it’s long enough – the pattern calls for the final project to measure 8 inches. Because of how the stitches and rounds work up, the cap will also fit snugly. Despite being attracted to the cap’s simplicity, I wanted to give it a bit more character. So, like I usually always do, I gave the pattern my own spin. 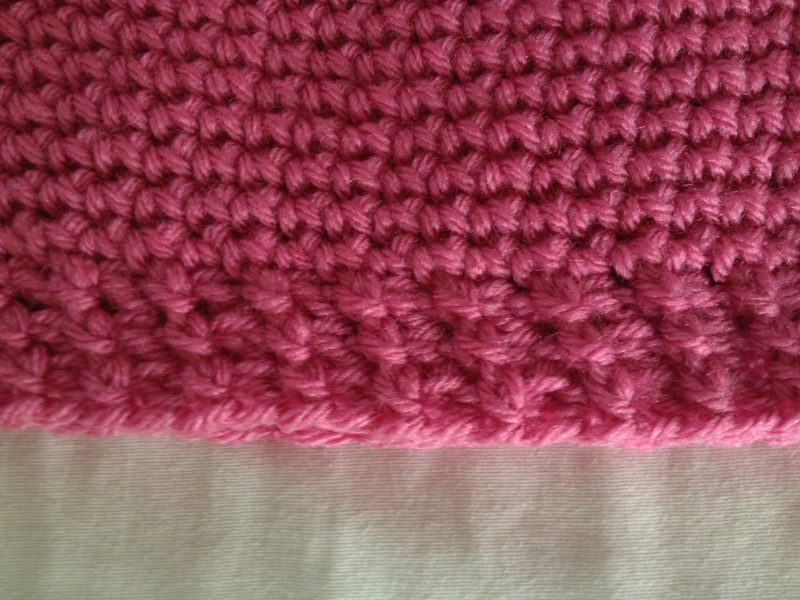 Once the cap measured 7 inches, I alternated between front post and back post single crochet stitches within each row. I did this for three rows total which gave me the final inch for the cap to measure 8 inches total like the original pattern called for. Overall, I’m happy with the basic design of this cap – and like I set out to do from the beginning, I put my heart into this cap for K and her friend. This is definitely one of the most specials projects I have had the pleasure to work on. What has been your favorite project made with love?